With the final notification on new emission norms coming in two months late, Hero Honda Motors India is finally upgrading its largest selling model, the Splendor+, to make it BS-III compliant and thereby, eligible for sales in top 13 cities. However, the new Splendor+ will come with a higher price tag. “We welcome the final notification on implementation of BS-III emission norms for two-wheelers by the Ministry of Road Transport and Highways, as the industry had been waiting for clarity on the subject from the government. We had started production of BS-III-compliant Splendor+ even before the final notification came, and BS-III-compliant-Splendor+ is being made available in all the 13 cities with immediate effect,” a spokesperson at Hero Honda Motor India said. While the company refused to share the revised prices, it is estimated that the new Splendor+ will be dearer by Rs 500-1,000. Hero Honda sells more than one million Splendor+ a year, 25 per cent of its total annual sales. The brand also accounts for 13 per cent of total motorcycles sold in the country. Some Hero Honda dealers across 13 cities, including Delhi, Mumbai and Chennai, have stopped selling Splendor+ since April 1, as the road transport authorities refused registration of BS-II-compliant Splendor+ due to lack of clarity on the implementation of BS-III emission norms for two-wheelers, resulting in huge revenue loss. “There is no communication from the company on the upgraded Splendor+. 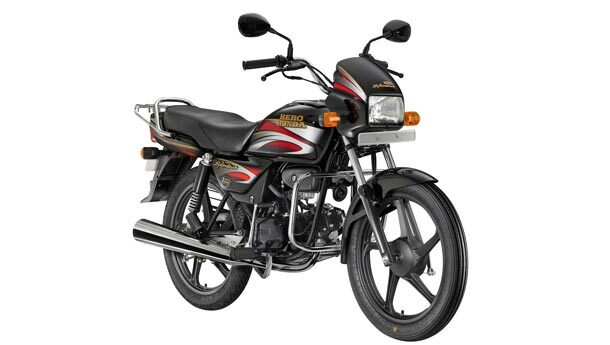 Since the transport authority in Delhi refused to register earlier Splendor+, with effect from April 1, we have suffered a loss in sales of nearly 150-200 bikes a month,” a Delhi-based dealer of Hero Honda Motor India said. Assuming an average sale of 150 units of Splendor+ at an average price of Rs 40,000 a month, the 100 dealers of Hero Honda across 13 cities lost around Rs 120 crore in April and May. In fact, to minimise the impact, dealers in cities like Kanpur and Agra, where the transport authorities registered some vehicles even after April 1, are now pitching for Splendor NXG and Passion Pro. “Since the RTO is not registering the older Splendor+ anymore, Passion Pro is gradually taking its space because customers are not willing to wait indefinitely for upgraded Splendor+,” a dealer in Kanpur added.